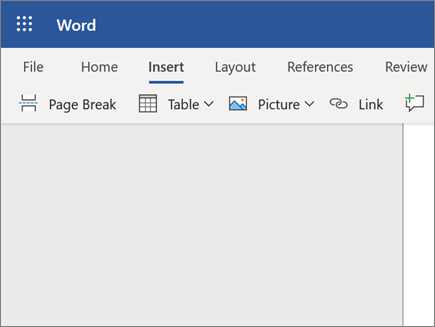 Place the cursor in your document, and type some text. 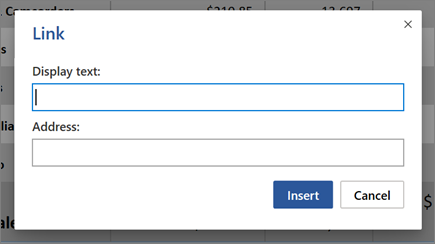 Table - select Table and then select the table size you want. Picture - select Picture, browse for the picture you want, and select Open. Online Pictures - select Online Pictures, select a stock photo or search for an image on Bing, and select Insert. For Display text, type the text you want the link to display. For Address, enter the URL.